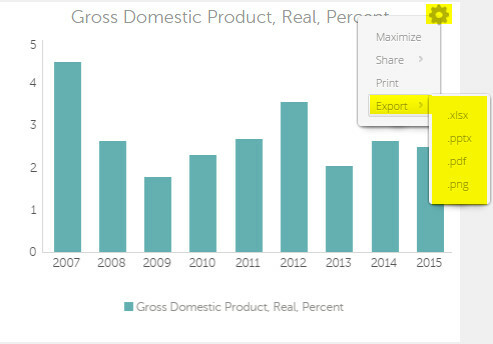 To get the underlying data in a table or chart in Excel, Powerpoint, PDF, or PNG format, hover and click on the control wheel, select Export and select the desired format. See screenshot for details. Query: How to export my Query table into Excel?